A multiplayer shooter inspired by Playerunknown’s Battlegrounds, a game that is available on home consoles and personal computers. The players are taken to a vast island, where they fight for survival. The player who is the last man standing is the winner. 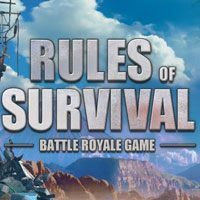 In Rules of Survival the action is presented by using a third-person perspective view. The gameplay is focused on battle royale matches played between one hundred and twenty players. This sub-genre of games was populated by Playerunknown’s Battlegrounds. Players are taken to a vast island, where they must fight for survival, obtain better weapons (hidden in various parts of the arena and taken from the bodies of fallen enemies) and eliminate opponents. The last man standing is the winner. Although the game’s world can be traveled on foot, using one of the available vehicles is frequently a better choice. The player should also remember that being a lone wolf is not always the best choice – the game features an option to form four-person squads. It is also worth mentioning that the battlefield is gradually becoming smaller – a poison gas is sprayed on its edges and it spreads to other areas, forcing opponents to face each other sooner than later. The three-dimensional graphics of Rules of Survival for AND and iOS are of decent quality, especially for a mobile game. The game is distributed by using a free-to-play model with optional microtransactions.